Crossfit is known for having members dedicated to not just maintaining overall general fitness, but also to going above and beyond what anything thought was physically capable. This fact is easily reflected in the numerous and grueling workouts that Crossfit assembles each day. For many people, these Crossfit work out of the days are not just mere exercises, but feats of physical power to be achieved with obstacles to overcome. This Crossfit WOD list contains some of the most difficult workouts known to the Crossfit world. Are you up to the challenge? If so, be prepared to sweat! 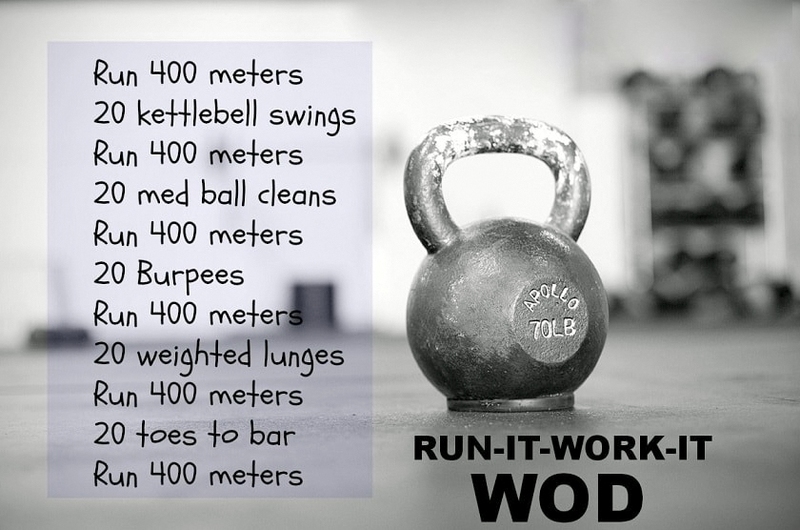 First up on the Crossfit WOD list is a workout that is popular amongst those who like to push themselves to the limit. Starting with the basics, this circuit consists of ten different exercises, each being done at fifty repetitions. With a challenge time of 25 minutes, the circuit includes 50 box jumps on a 24-inch box, fifty kettle bell swings, fifty jumping pull-ups, fifty knees to elbows, fifty walking lunge steps, fifty back extensions, fifty reps of push press with 45 pounds, fifty wall balls with a 20-pound ball, fifty burpees (with your chest touching the floor) and finally fifty double-unders. Next on the Crossfit WOD list is The Seven. Indicating a total of seven rounds needing to be completed, each round should be done as quickly as possible. Ideally, someone in the best physical shape should complete the workout in 20 minutes, but otherwise 35 to 40 minutes is also good. Each round of this circuit consists of seven handstand pushups, seven knee-to-elbows, seven 135-pound thrusters, seven burpees, seven 245-pound dead lifts, seven pull-ups, seven kettle bell swings. Another staple on any Crossfit WOD list is The Ryan. This workout is done as fast as possible, with a total of five rounds. With a seemingly simple composition of 7-muscle ups followed by 21 burpees, any person will soon see that there is more to this workout than what merely meets the eye. Finally on our Crossfit WOD list is the well known Fran. Also done as quickly as possible, the ideal completion time for this workout is 5 minutes. With a total of 3 rounds, the first round consists of 21 thrusters and pull-ups, with the second and third rounds needing a completion of 15 and 9 repetitions of each exercise respectively. Many people throughout the country await each morning for their newly delivered Crossfit WOD list. Usually conveyed by the official Crossfit Application on a person’s smart phone device, these workouts are known for making even the most physically fit person sweat and struggle. These workouts make the perfect physical challenge for any dedicated Crossfitter. Upon completing these rather difficult and grueling exercises, you can soon be on your way to not only getting in better physical shape, but also feeling great about yourself in the challenge you have overcome. In order to do the exercises properly and gain maximum result you should be geared properly and one can’t underestimate the importance of wearing solid crossfit shoes. If you curious to check which are the best crossfit shoe choices. 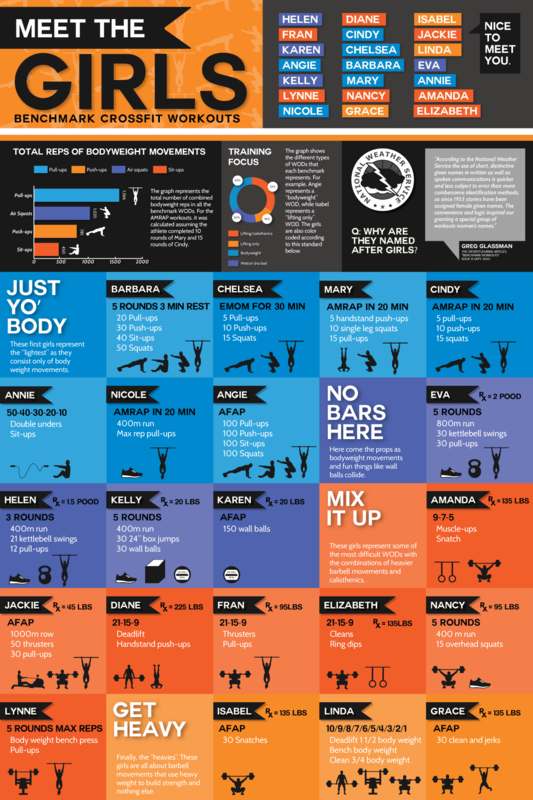 Check out more crossfit WODs below.